This month, NPR is looking at women and aging as part of our series on women's changing lives. Age begins to matter much earlier in a woman's life than a man's because of the biological clock. Actress Mindy Kaling tackled this in an episode of her Hulu show, "The Mindy Project." Kaling's character is a fertility doctor who visits a college campus to market her services to younger women. WERTHEIMER: Last month, the tech company Intel joined Apple and Facebook in offering to pay the costs of egg freezing for employees who may want a little more time before they are ready for children. 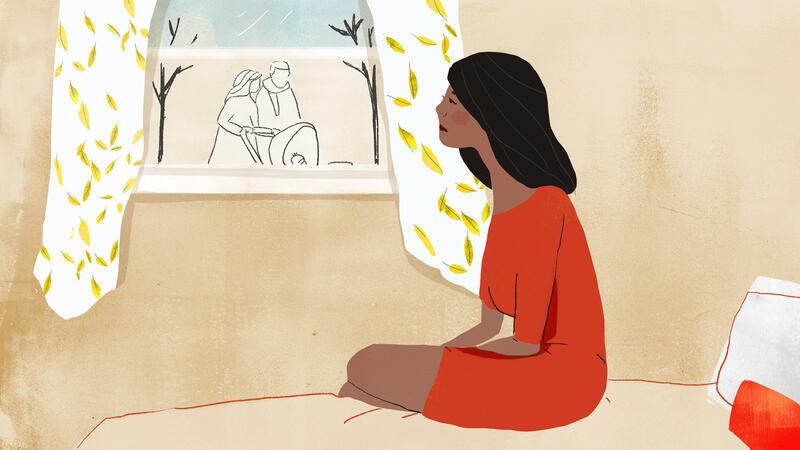 NPR's Eliza Barclay looks at what it means to try to stop that biological clock. ELIZA BARCLAY, BYLINE: If egg freezing once sounded like science fiction, those days are over. Women now hear about it from their friends, their doctors and informational events like Wine and Freeze. Shady Grove Fertility Center in the Washington, D.C. area hosts Wine and Freeze nights for perspective patients every few months. Fifteen or so women in their 30s gathered at one recently over wine and sticky buns. UNIDENTIFIED WOMAN: It's going to be kind of a informal session on egg freezing. I'm sure some of you maybe have been on our website. BARCLAY: Egg freezing for medical reasons has been possible for decades. Some 5,000 babies have been born from eggs that were frozen, thawed and fertilized. In 2012, the American Society for Reproductive Medicine decided egg freezing was no longer an experimental procedure. That opened the door for clinics like Shady Grove to market it to women worried about their declining fertility. Shady Grove's Eric Widra says business these days is good. ERIC WIDRA: This is clearly a time where the technological ability to do this is converging with the demographics. There are more and more women who find themselves in a situation where they may potentially benefit from having their eggs frozen. BARCLAY: The fact that wine is served at egg freezing info sessions around the country might imply that this is no big deal, even fun. In fact, it's a complicated and physically demanding process. Women inject themselves with hormones for up to two weeks to stimulate their ovaries to get as many mature eggs as possible. There is a surgical procedure to retrieve them, and there can be side effects along the way. It also isn't cheap. One round averages about $12,000, and multiple rounds may be needed. And now there is even financing for it. Stacey Samuel is a producer with CNN in Washington. She thought about freezing her eggs earlier but couldn't afford it until this year. STACEY SAMUEL: Before you know it, I'm 40. And I thought, oh, my goodness, this is very real for me. BARCLAY: Doctors prefer that women freeze their eggs before their mid-30s. But, Samuel thought that advice might not apply to her. SAMUEL: I'm a black and South Asian female. Fertility in my culture, in my family, you know, extends for many years. So I'm thinking, 40 is nothing but a number. I mean, I still get carded. BARCLAY: She assumed she'd get the 15 to 20 eggs that doctors recommend women freeze. But in the middle of her cycle, while she was injecting hormones, there were complications. She ended up with just 10. SAMUEL: Even when I choose to go use those eggs, I could lose them again. So that feeling of reassurance that I thought I was buying with my near $20,000 on the table, I'm still unable to control the outcome. BARCLAY: Preserved eggs offer women like Samuel hope for beating the biological clock. But you can't escape the fact that your body will continue to age. The older a women is when she freezes her eggs and when she uses them with in vitro fertilization, the lower her chances of success. That concerns John Robertson. He's professor of law and bioethics at the University of Texas Law School. JOHN ROBERTSON: The problem is it may be marketed to women who are in the older age group who may have very little chance of obtaining viable eggs. So it's extremely important that there be full disclosure at every step of the process. BARCLAY: Dallas doctor Kevin Doody agrees. He's president-elect of the Society for Assisted Reproductive Technology, or SART. KEVIN DOODY: I do not think that this should be highly promoted for the older-aged woman. I'm not saying one should refuse or deny services if a 40-year-old, 42-year-old patient wanted to have her eggs frozen, but I think it would warrant a substantial counseling session with that patient. BARCLAY: SART collects data on egg freezing in the U.S., and Doody says, in 2013, 4,000 women froze their eggs, up from 2,500 the year before. And he predicts the number this year will be much higher. Medical anthropologist Marcia Inhorn at Yale is conducting a study of the women who've frozen their eggs. MARCIA INHORN: The vast majority say, well, it's given me peace of mind. I feel a sense of relief. It's taken the pressure off of me to sort of rush into a relationship with somebody who isn't right. BARCLAY: She's interviewed about 100 women so far. INHORN: Most these women are amazing professional women, I have to say. But the major reason sort of over and over again is not being able to find the right person to embark on a partnership and parenthood with. BARCLAY: Inhorn says finding the right person is likely to be just as big a challenge for women in the future, which is why she believes this technology will become normalized like in vitro fertilization. And maybe, it's already happening if people like Mindy Kaling are talking about it. KALING: (As Mindy Lahiri) Even if you find the right guy, you're going to want a little extra time. I mean, look at me. I'm so busy, I wore my pajamas everywhere. BARCLAY: Eliza Barclay, NPR News. Transcript provided by NPR, Copyright NPR.